PT Angkasa Pura Properti - PT APP or referred to as "AngkasaPura Property" is a rapid growing company in Indonesia, running business in property and real estate industry. Based in Jakarta, AngkasaPura Property engaged in construction, trade and services, particularly in real estate business. The Company's main office is located at Center for Excellence Building, Jl Tabing No 16 Kemayoran Jakarta 10610. 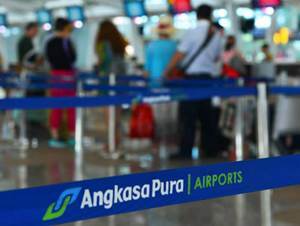 PT Angkasa Pura Properti is a directly-owned subsidiary company of state-owned airport management services company PT Angkasa Pura I (Persero) or Angkasa Pura Airports Group. As of December 2015, AngkasaPura Property is 99.96% owned by Angkasa Pura Airports Group and 0.04% by Koperasi Karyawan Angkasa Pura I (PUSKOKAPURA). PT Angkasa Pura Properti was established in 2012 to develop a non-productive land owned by Angkasa Pura Airports Group. In term of financial performance, Angkasa Pura Property recorded a satisfiying financial result in 2015. According to Angkasa Pura Airports Group Annual Report 2015 as cited by JobsCDC.com, AngkasaPura Property booked total assets of Rp 209.42 billion in 2015, an increase of 284.07% from the previous year of Rp 54.52 billion. Total operating revenue grew 296.76% to Rp 70.51 bilion from Rp 17.77 billion. Total income after tax in 2015 amounted to Rp 5.41 billion as compared with loss Rp 1.95 billion in 2014. Minimum Bachelor or Master Degree (S1/S2) in Architecture Landscape or Interior Design. Minimum 4 years of experience in the construction or property company, preferably in Supervisory or Senior Officer Level specializing in Architecture/Interior Design or equivalent. Fluent in English language, both oral and written. Possess expertise certification is a must (SKA madya level). Familiar with CAD, Sketchup, 3D Modelling and Photoshop. Minimum Bachelor or Master Degree (S1/S2) in Computer Science, Information Technology, Computer Engineering, Telecommunication Engineering. Minimum 5 years of experience in the related field, preferably in Supervisor/Coordinator specializing in IT/Computer - Network/System or equivalent. Technical knowledge of Microsoft Windows, Microsoft SQL Server, Java, J2EE. Strong sense of analytical thinking and attention to detail. Experience of working effectively as part of a team. Strong communication skill both written and verbal. Able to analyse user existing systems. Minimum Bachelor or Master Degree (S1/S2) in Property Development/Real Estate Management, Business Studies, Administration, Management, Civil Engineering or equivalent. Minimum 7 years of experience in the related field, preferably in Manager/Assistant Manager level specializing in Property/Real Eastate or equivalent. Strong enterpreneurial skills is running business operations as a whole including financial reporting and budgeting, staffing and client services. Strong communication and reporting skills, both written and verbal. Willing to be placed at Head Office Jakarta. Minimum Bachelor or Master Degree (S1/S2) in Civil Engineering, Electrical Engineering, Mechanical Engineering or equivalent. Minimum 5 years of experience in the related field, preferably as Manager/Assistant Manager specializing in Engineering - Civil/Construction/Structural or equivalent. Technical knowledge of Microsoft Project, Microsoft Excel. Possess certification in Project Management. JobsCDC.com now available on android device. Download now on Google Play here. Please be aware of recruitment fraud. The entire stage of this selection process is free of charge. PT Angkasa Pura Properti - Staff, SPV, Manager Angkasa Pura Airports Group November 2016 will never ask for fees or upfront payments for any purposes during the recruitment process such as transportation and accommodation.